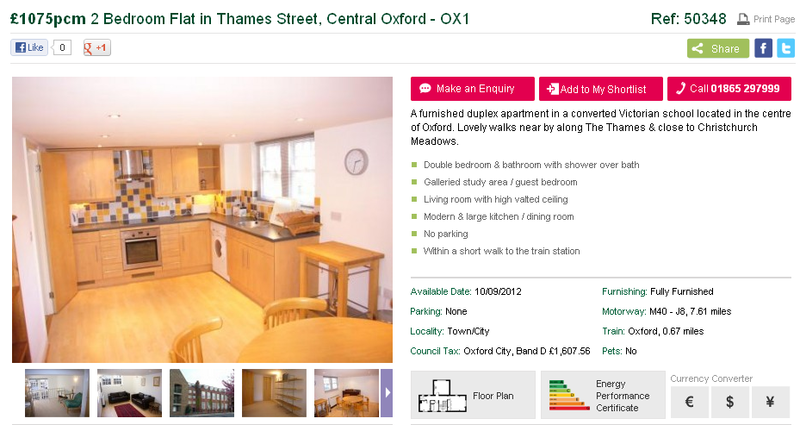 The most popular property to rent in Oxford is…. We’ve just been digesting our website statistics for the first 6 months of 2012. 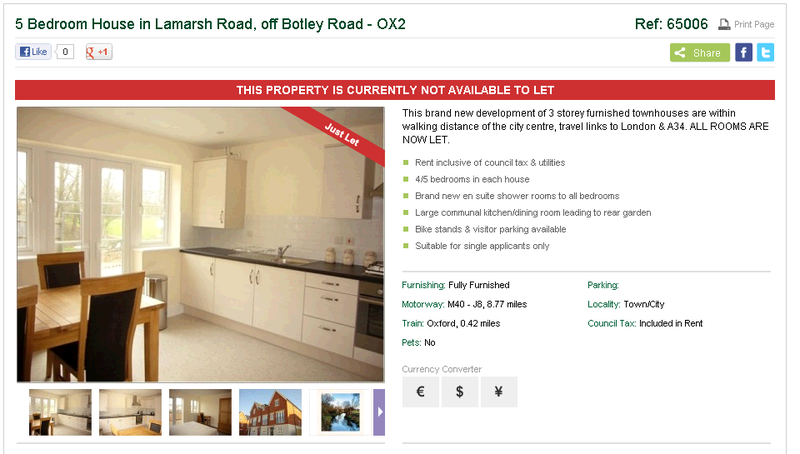 There are lots of interesting titbits (well, interesting to us) and one of them is we can see the most popular property on our site. It is shown above: a great house for sharers in West Oxford. It has been viewed 1777 times this year online. The second most popular property is this lovely 2-bedroom apartment in Central Oxford. It is available to let from September at £1075pcm with our Central Oxford office. Give our letting team a call on 01865 29799 to take a look.